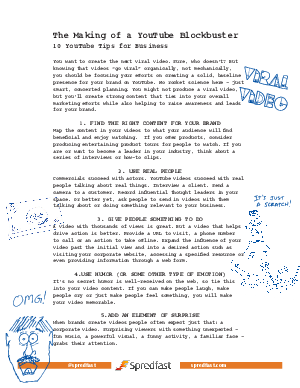 You want to create the next viral video. Sure, who doesn’t? But you knowing that videos “go viral” organically, not mechanically, you should be focusing you efforts on creating a solid, baseline presence for your brand on YouTube. No rocket science here- just smart, concerted planning. You might not produce a viral video, but you’ll create strong content that ties into your overall marketing efforts while also helping to raise awareness and leads for your brand.